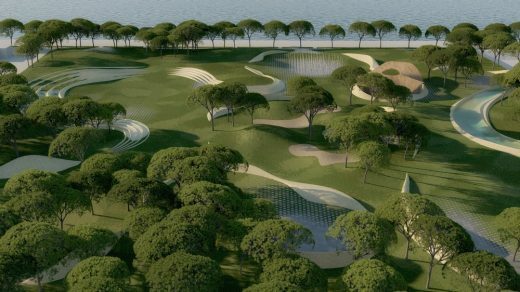 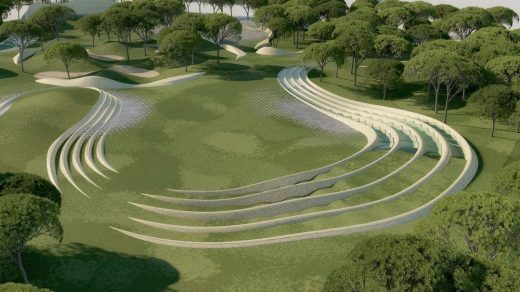 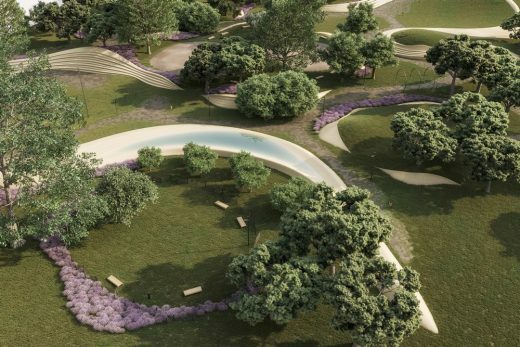 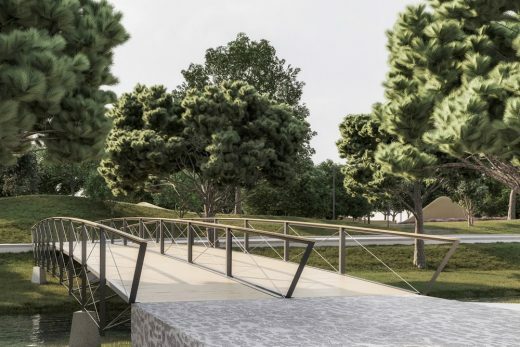 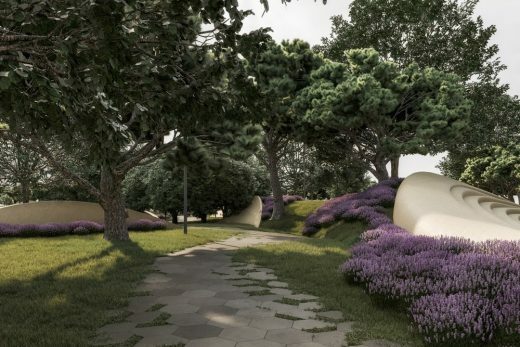 Construction has started on ENOTA Architects recent winning proposal for a Central park in Slovenian coastal town of Koper. 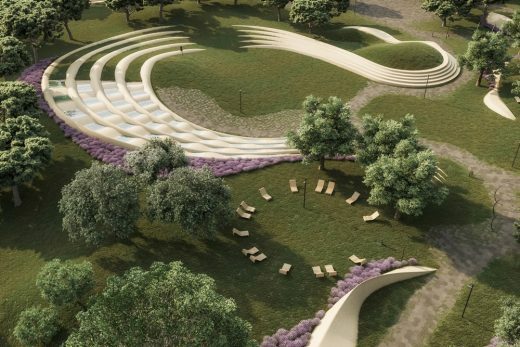 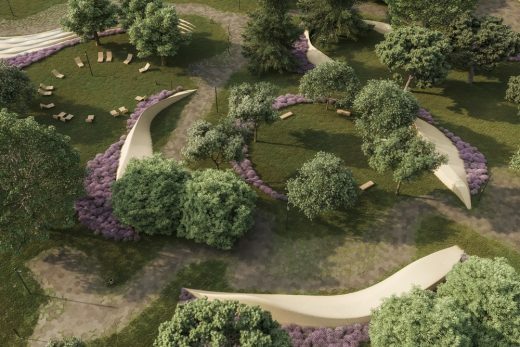 The basic building blocks of the new city park are monolithic, undulating urban elements. 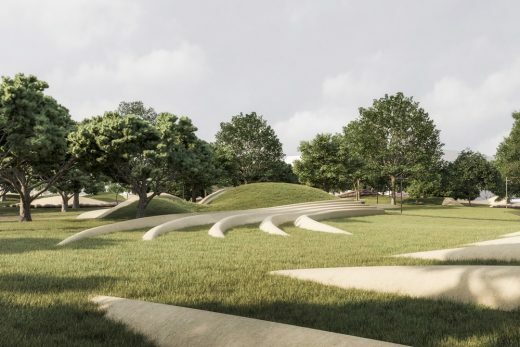 Their controlled placement in the space in combination with a pronounced topography of the green surfaces softly divides the whole of the park’s surface into individual introverted programme isles. 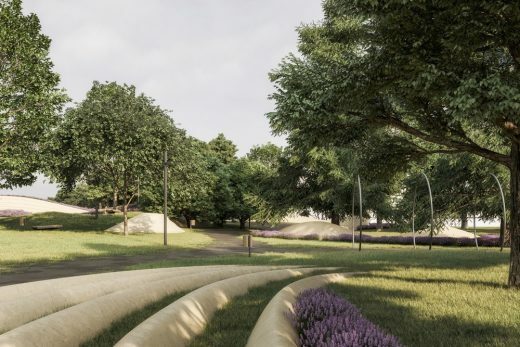 In line with the prognosis that the sea by the promenade is to grow increasingly cleaner, it is feasible that a new city beach may appear along the promenade. 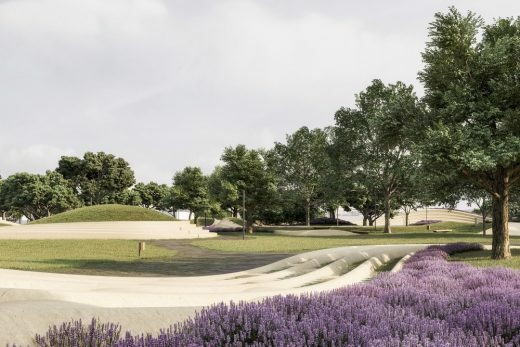 Successful similar examples show that a city beach is not only an area where people take a dip in the sea but that city beaches can become the most important free-time socialising space. 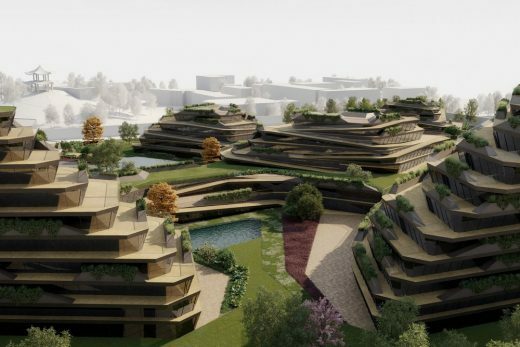 Since the densely developed old town core does not allow for a sufficient number of large open spaces and constrains their size, and since we need to understand that convivial bustle, concerts, and late-night events disturb the residents in the immediate vicinity, the placement of such programme in the area under consideration is all the more suitable. 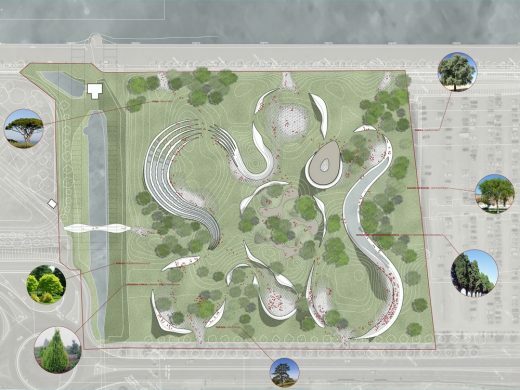 The basic building blocks of the new city park are monolithic, undulating urban elements. 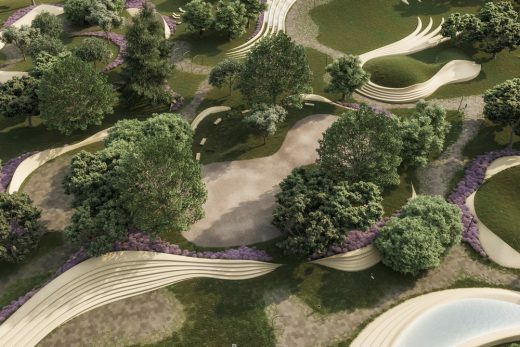 Their controlled placement in the space in combination with a pronounced topography of the green surfaces softly divides the whole of the park’s surface into individual introverted programme isles. 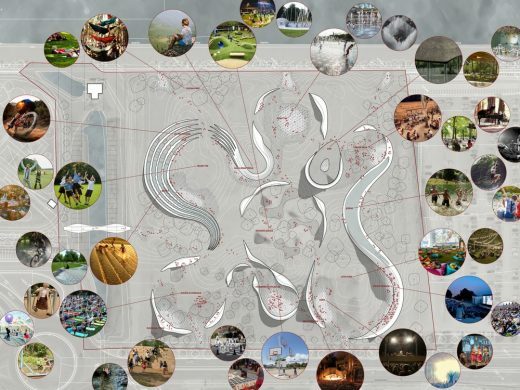 The design of the individual urban elements consistently follows the different programmes. 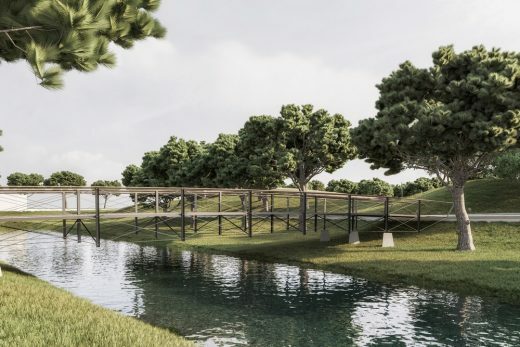 In places, they are taller and act as a shelter from views and the noisy surroundings; elsewhere, they are lower and allow for an unimpeded contact between programme zones. 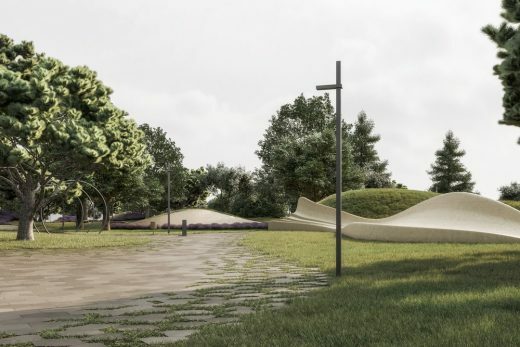 The organically designed urban elements form stands for viewers, an obstacle course for children, climbing walls, a backdrop to a seaside bar, a concert venue, a children’s playground, a reading area, and more. 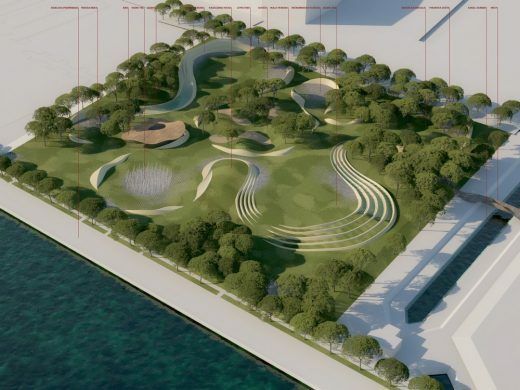 Due to the proximity of the sea, the programme zones are appointed with numerous water elements. 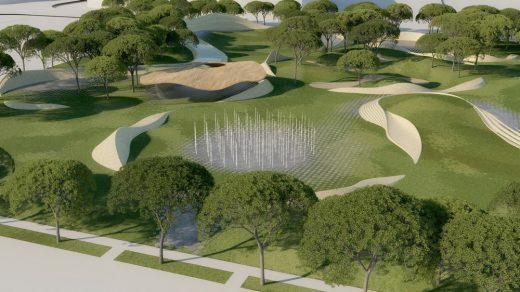 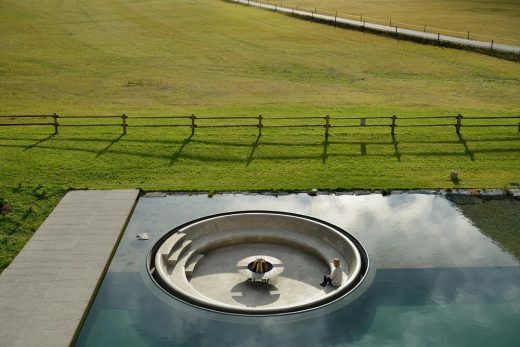 A pond, ground sprinklers, a geyser, parabolic water jets, cascades and a water platform in combination with the variegated urban elements encourage an active use of the space and an expansion of the future beach towards the interior of the park.